Sisters, sign up quick — we’re having a very special screening of Suffragette at the Underground Film Club next month where women get a discount on tickets. They will only pay 86% of the full ticket price (£12.90) to reflect the fact that, on average, women in the UK make 86p on every £1 that their male counterparts earn. The film itself is a scorching depiction of the campaign to get votes for women set in early 1900s London. Fictional characters played by Carey Mulligan and Anne-Marie Duff are interwoven with real life heroines Emily Davison and Emmeline Pankhurst. The cast also features Meryl Streep, Helena Bonham Carter and Romola Garai and was made by the hugely talented writer-director team of Sarah Gavron and Abi Morgan. Read our original double review from the female and male perspectives here. The film includes panoramic recreations of the West End’s glamorous shopping streets and the dark satanic factories of the east. And it can also claim to be the first film ever to be shot inside the Houses of Parliament. As part of the screening we’ll also have a bonus all-female short film to watch. And you can also make a night of it with the amazing street food, cocktails and crazy golf that together make the Underground Film Club such a brilliant experience. 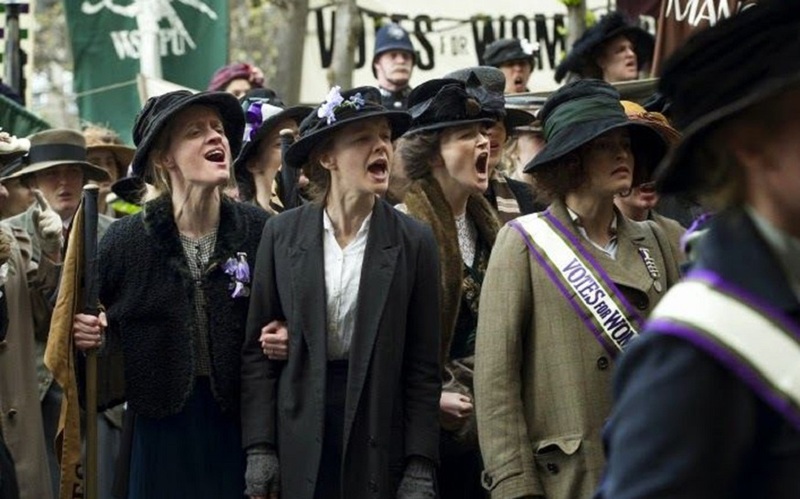 Suffragette is on 16 January at 8pm, at Underground Film Club, tickets £12.90 for women and £15 for men. You can also still get tickets for our screening of Shakespeare In Love on 21 December at 8pm — get lost in Elizabethan London and escape Christmas for a bit.